Another beautiful fall day to enjoy a bicycle ride along the trail. 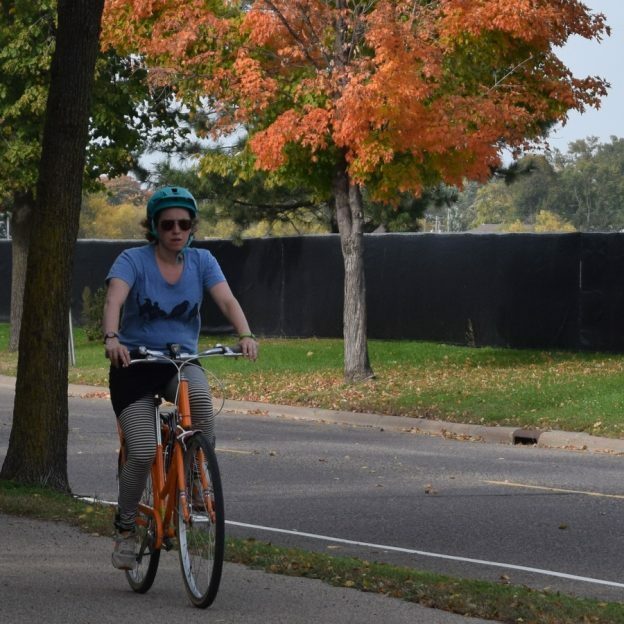 Here in this photo, taken a little over a week ago, a cyclist is riding along the trail in Minneapolis, MN when the colors were coming into their peak. 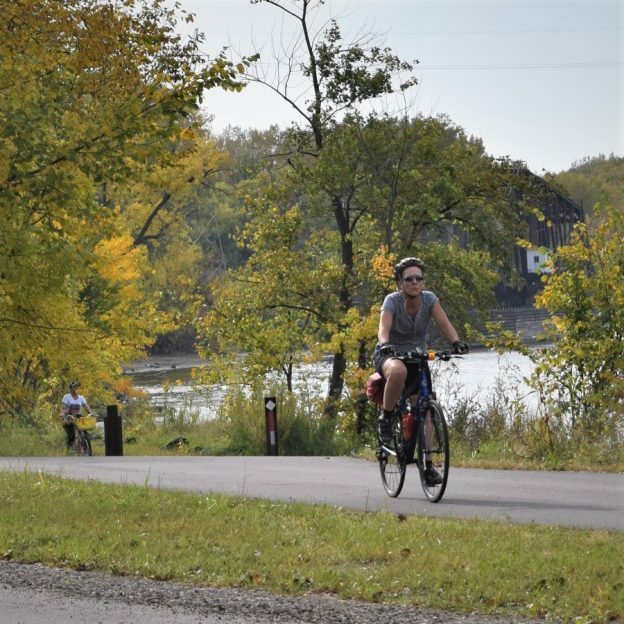 This entry was posted in News and tagged biker chick, fall color picture, Minneapolis, Minnesota trails, Mississippi River Trail, St. Paul, Twin Cities on October 18, 2017 by Russ Lowthian.